Most people spend their Easter sunday in clean fancy clothes singing church hymns or taking photos of their children spastically hunting for Easter eggs in the backyard. 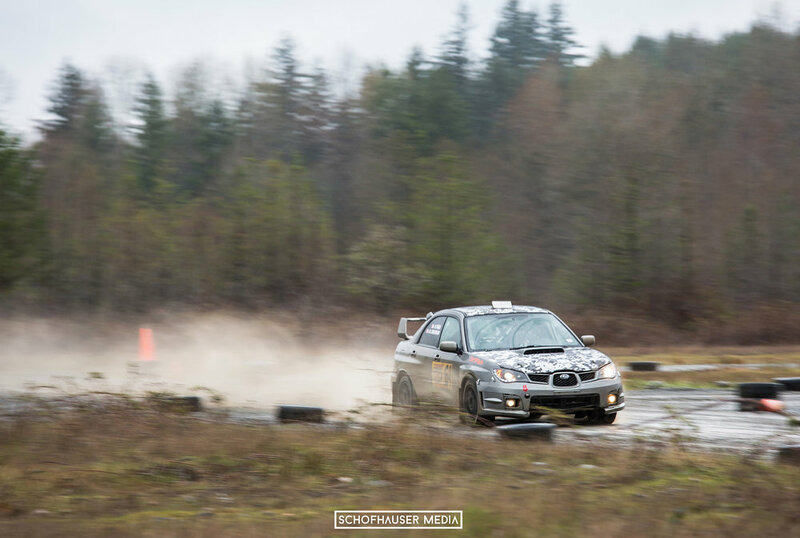 But if you're of the rally religion and live in the northwest, you probably went to the Northwest Rally Association's RallySprint at Dirtfish Rally School. Just like almost every other day in the Northwest, this particular day saw torrential rainfall. 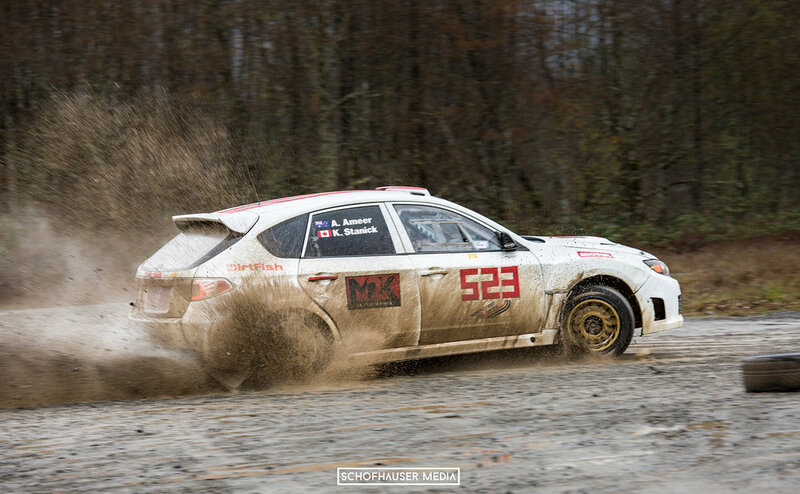 For most other motorsports this would be a disaster; but for rally enthusiasts, this just makes it all the more exciting and challenging. 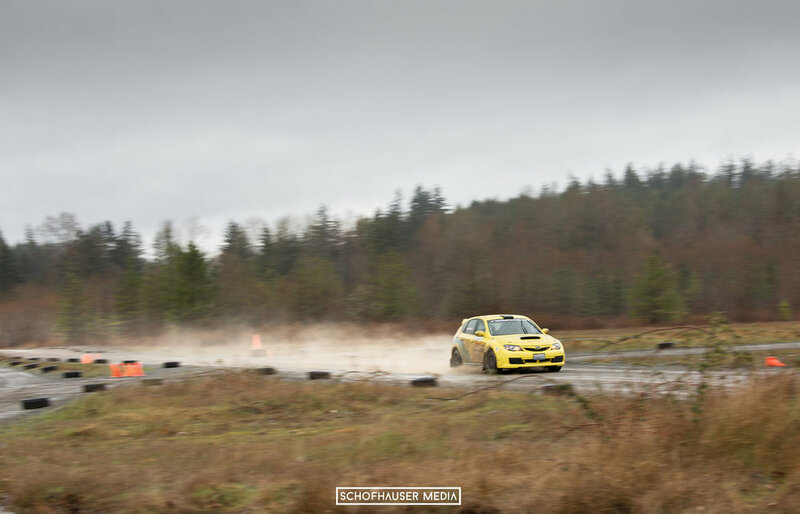 For those unfamiliar with RallySprints, a rallysprint is like a stage rally race but on a smaller scale. 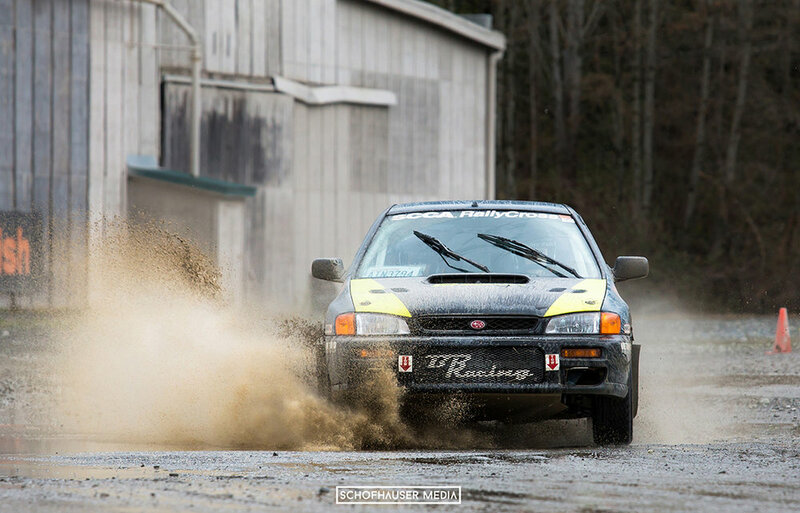 Stage rally typically consists of multiple days of racing over hundred of miles of isolated, highly dangerous forest roads. 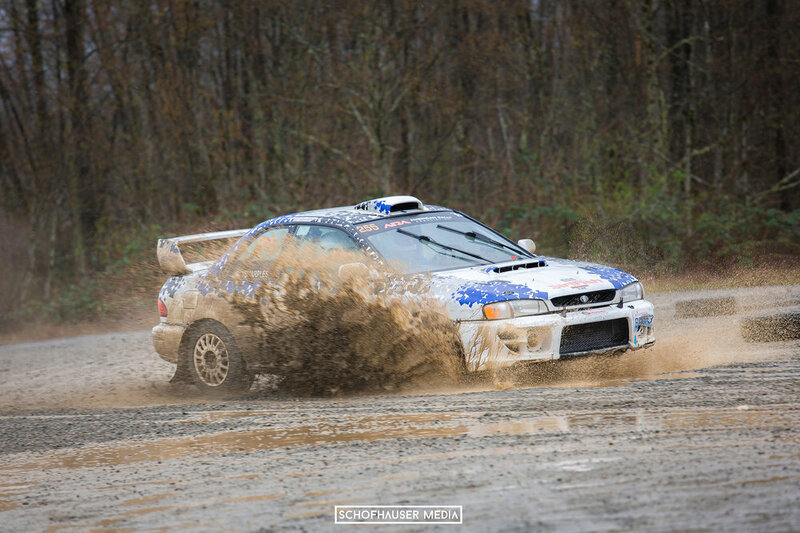 Whereas in a rallysprint, competitors race on a smaller course multiple times in one day competing for best accumulated time. 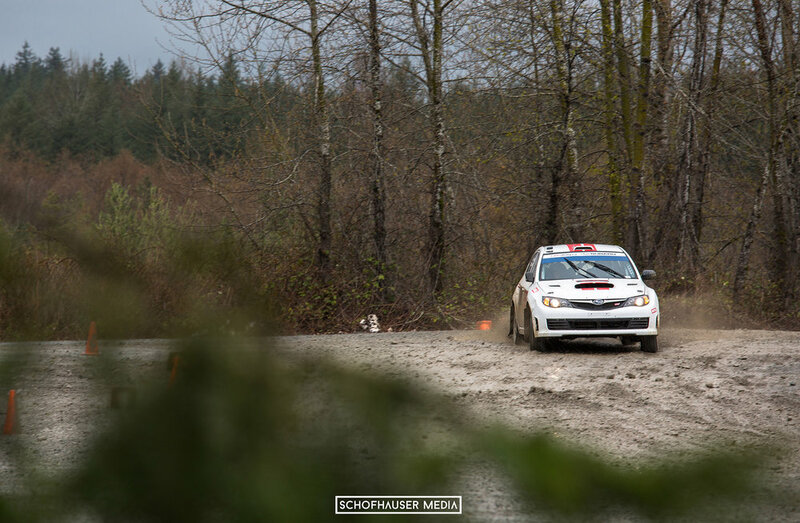 Competitors must still have a fully stage legal cage and other safety equipment in their car that lower level events like rallycrosses don't require. 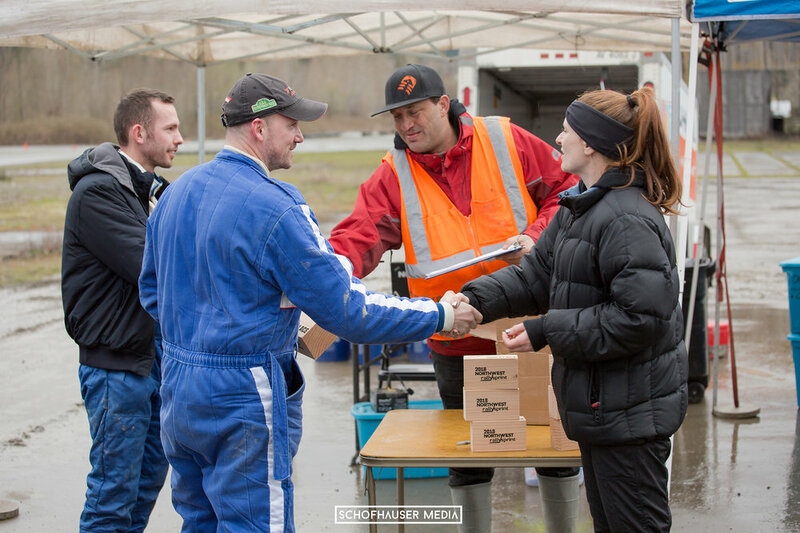 The day saw 16 competitors racing around the DirtFish compound through fast rhythm corners, tight hairpins, and giant puddles. 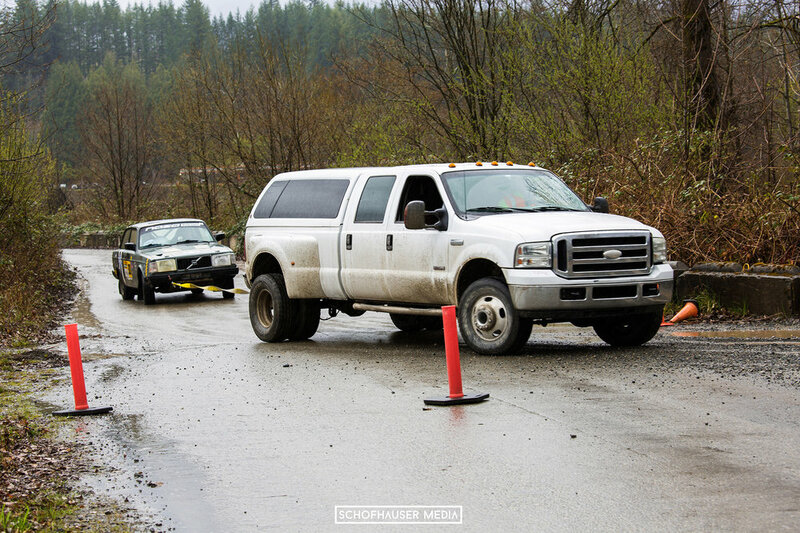 The drivers were broken up into different groups: 4WD Over 2.5liters, 4WD Under, 2WD Over, and 2WD Under. 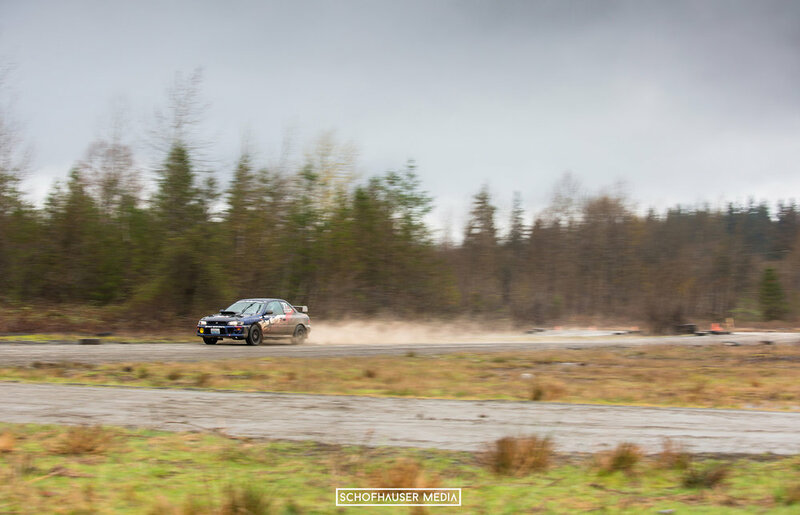 Pretty much everyone was in a Subaru as you would expect. 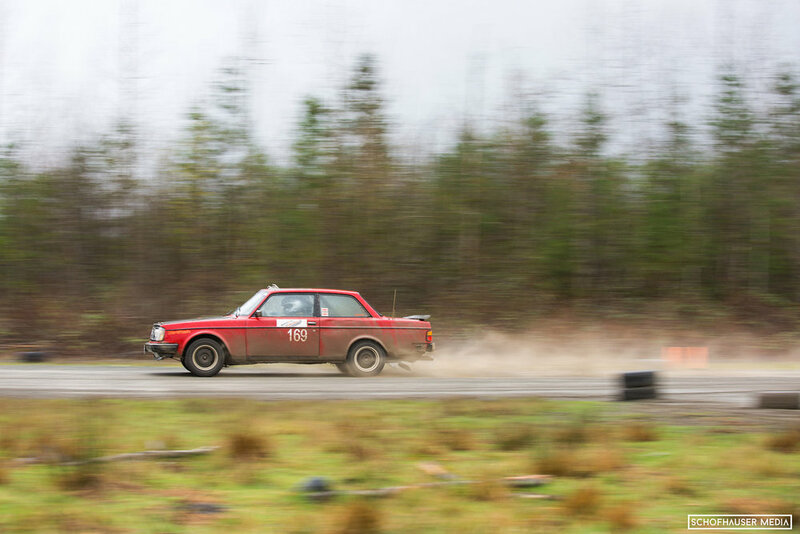 But there were some unique other choices, such as a Volvo 242, a Ford Sapphire Cosworth, an Acura Integra, and a Mazda 323gtx. 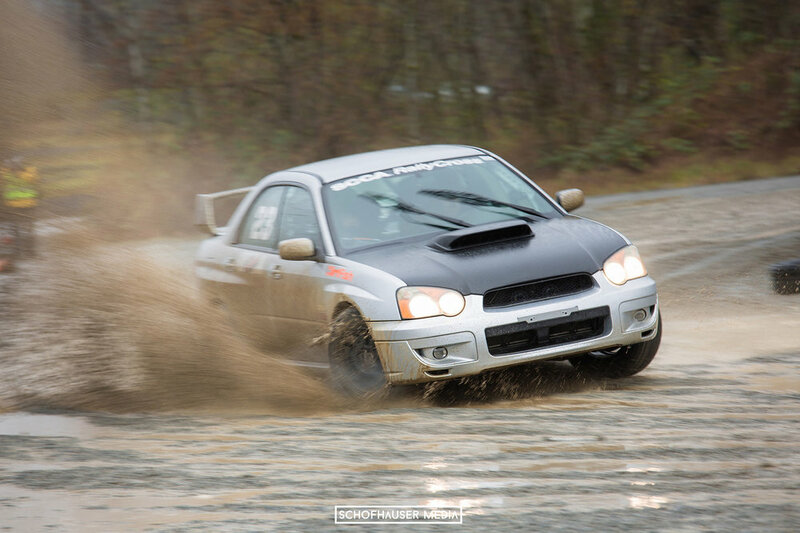 It was great to see other cars throw down in the mud along side all the burbly Subarus. 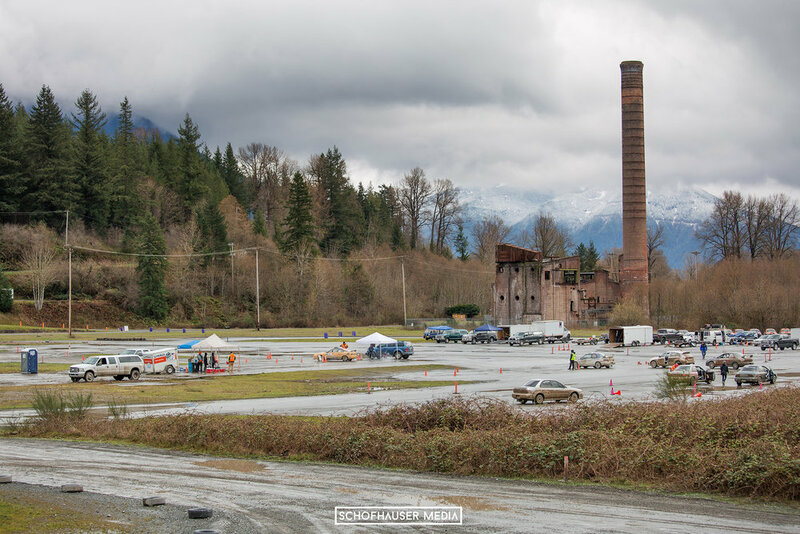 Shooting in conditions like these made me wish I had invested in one of those umbrella hats or better rain gear for myself and my equipment. 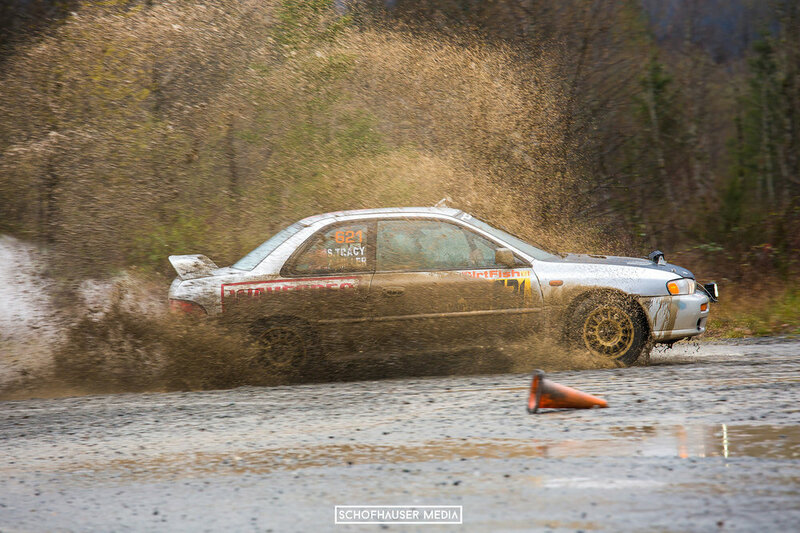 It proved quite challenging to not get everything soaked but thankfully my time as a DirtFish photographer made me used to these conditions. 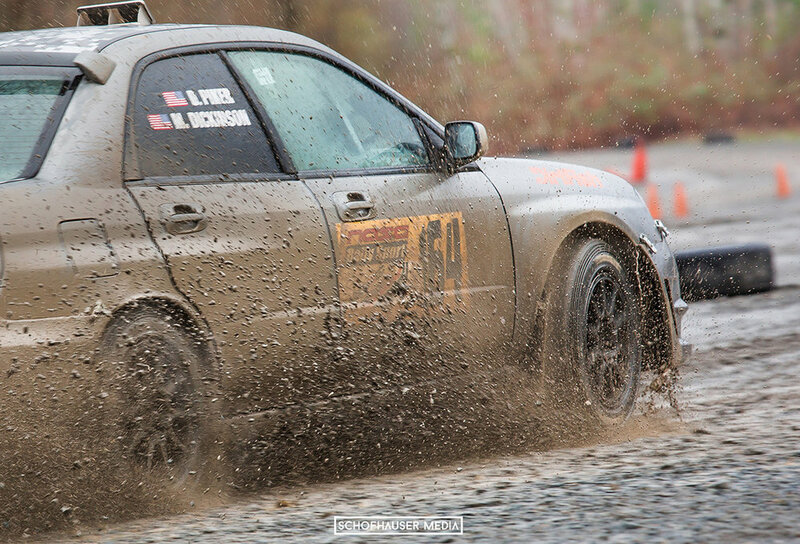 The rain and mud made for some fun opportunities to get creative with unique angles or capture moments of fantastic mud and gravel spray. 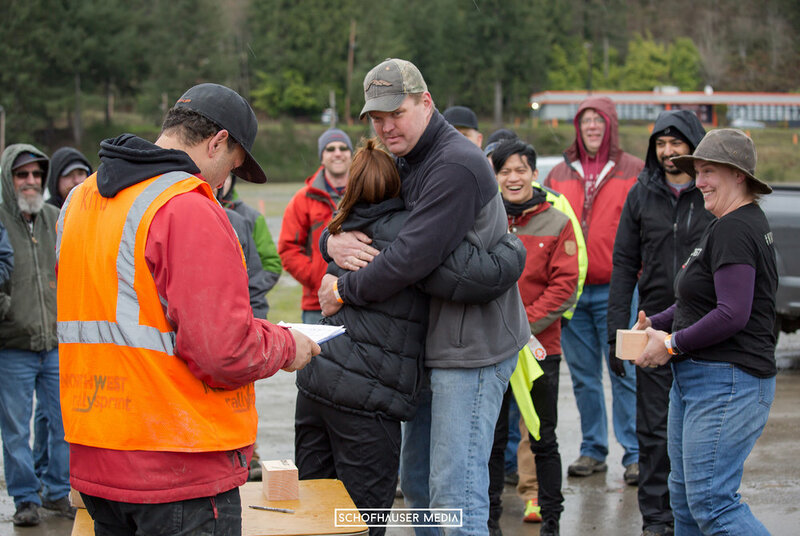 As tough as it was for me to shoot, it proved even tougher for some of the competitors. By the time lunch break had rolled around, 2 competitors had DNF'd. One of the Volvo's broke it's differential, and the Ford had some major engine trouble. The bad luck continued. By the end of the afternoon almost the entire 2WD class had DNF'd and a few of the 4WD cars had as well. 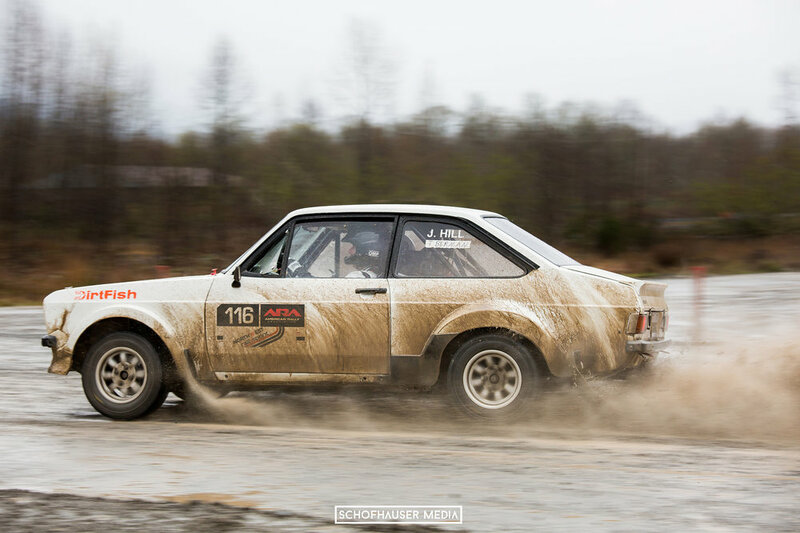 The tough course conditions got the better of some of these battle hardened rally cars. 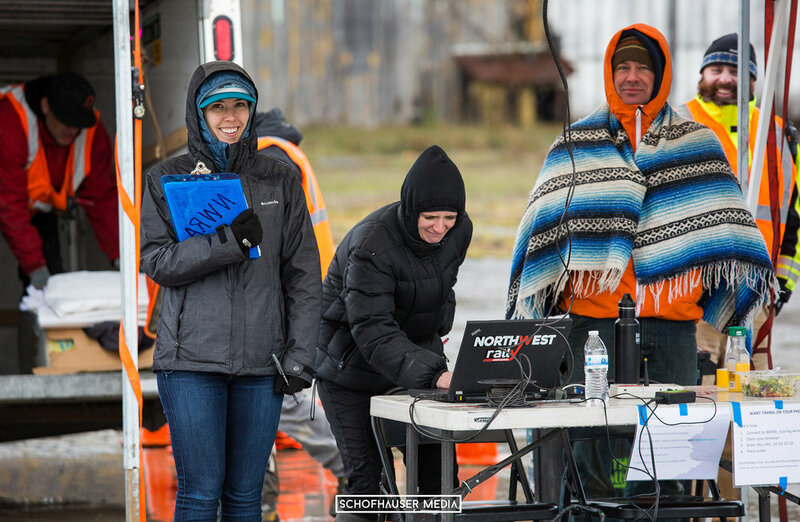 Despite these tough conditions and broken competitors, everyone remained in good spirits. It is a tight knit community. 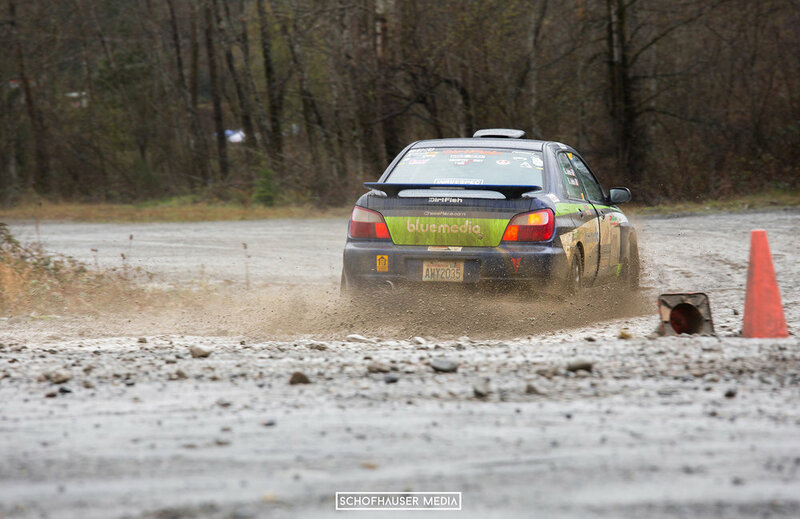 Everyone loves being out here for the fun of the sport and the comradery that comes with competing in such treacherous conditions. 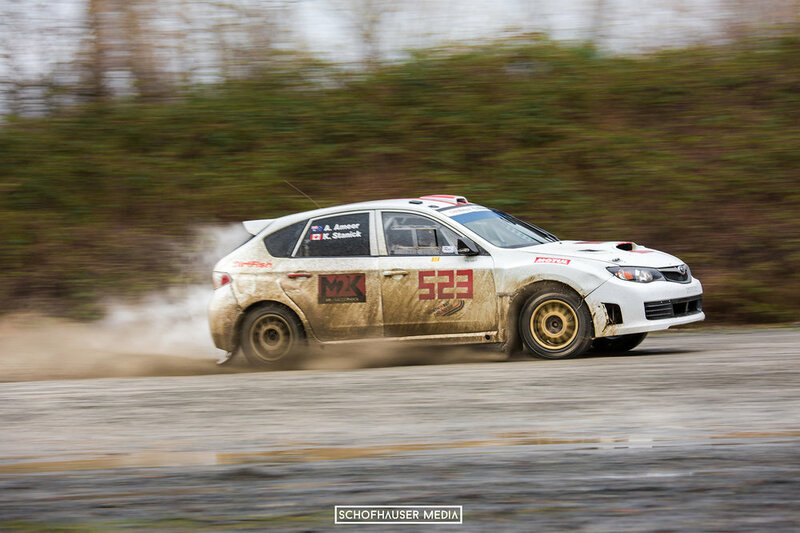 In the end, Ken Stanick and Arti Amir piloted their 2008 Subaru STI to overall victory in the 4WD Over class. 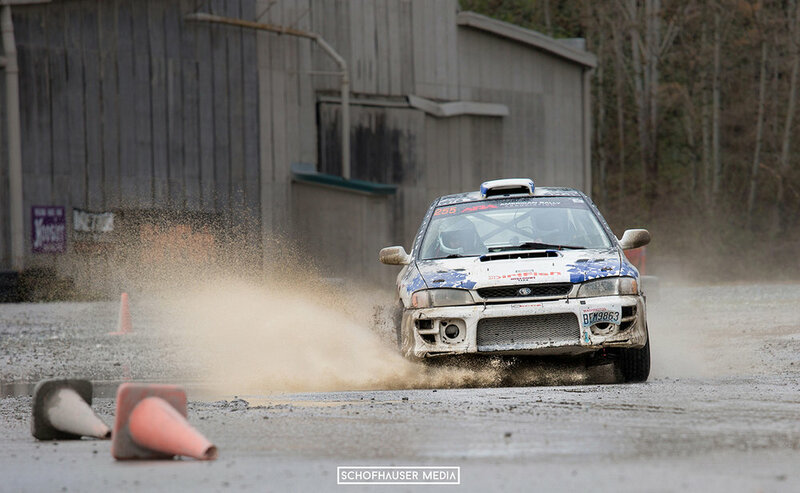 Andy Miller and Shaun Tracy drove their 2000 Subaru 2.5RS to the top of the podium in 4WD Under class. Jack Harrison and his dad, Richard Harrison, were leading their 2WD Over class until they along with the rest of the competitors DNF'd. 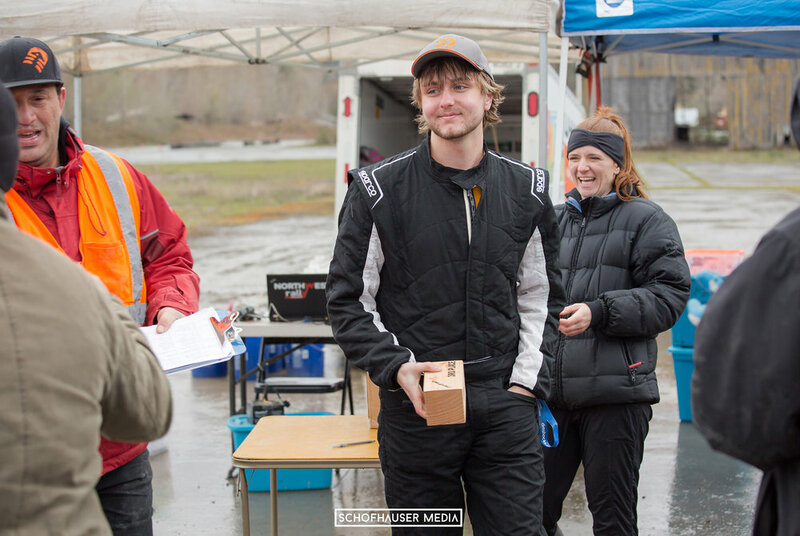 Oliver Schroeder and Karnelious Rempel were the last standing in the 2WD Under class, taking home the win in that class. Just like Jesus was resurrected on Easter Sunday, so too will the fallen competitors. 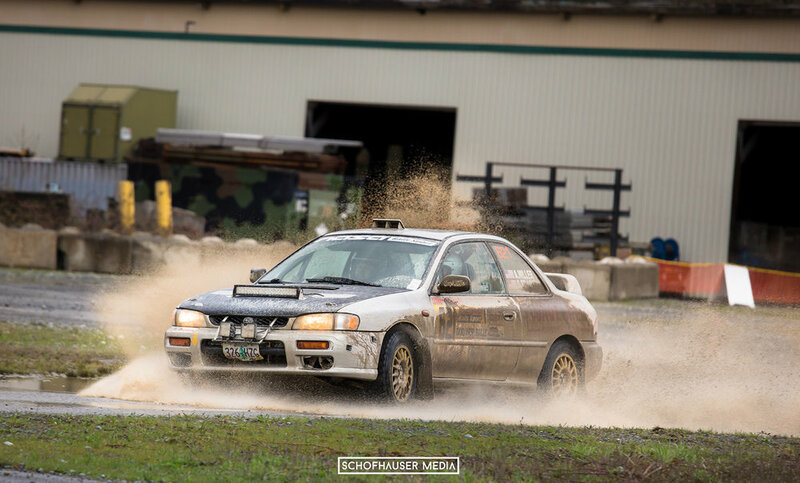 They will be fixed and back ready to race for the win through mud, sweat, and gears at the next RallySprint event at Spirit Peaks Raceway later this spring.